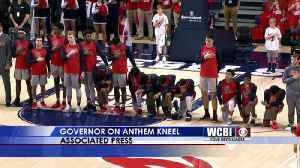 According to Deadspin.com, Ole miss players decided to kneel during the national anthem to protest pro-confederate rallies that were taking place near campus. 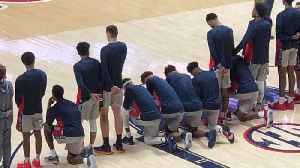 Buffen, Terence Davis, Luis Rodriguez, Bruce Stevens, Devontae Shuler and Breein Tyree knelt before their team’s basketball game against Georgia on Saturday. The students decided to kneel because of an ongoing pro-Confederacy march that was scheduled to end at the school. 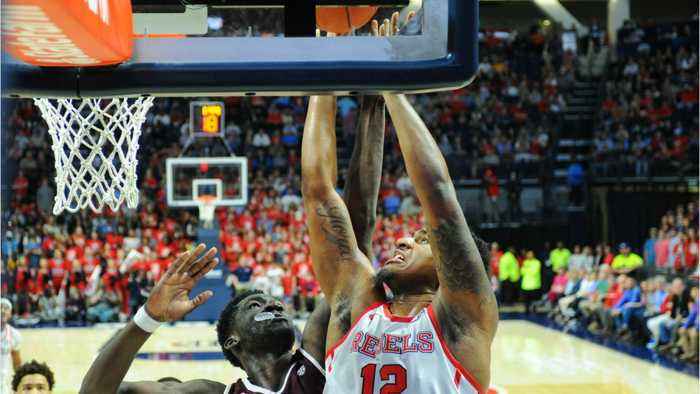 Ole Miss went on to beat Georgia 72-71. Bryant hasn't had much of a chance to look at video of Ole Miss basketball players knelling for the National Anthem. 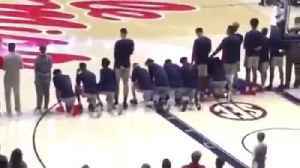 Several members of the Ole Miss basketball team knelt during the national anthem before the team's matchup against Georgia on Saturday.